Nominate a PA Wilds Champion! Looking For Funding For Your Clean Energy Project? Are you a college student that would like to intern for PA Wilds? Please fill out the PDF application to get started. 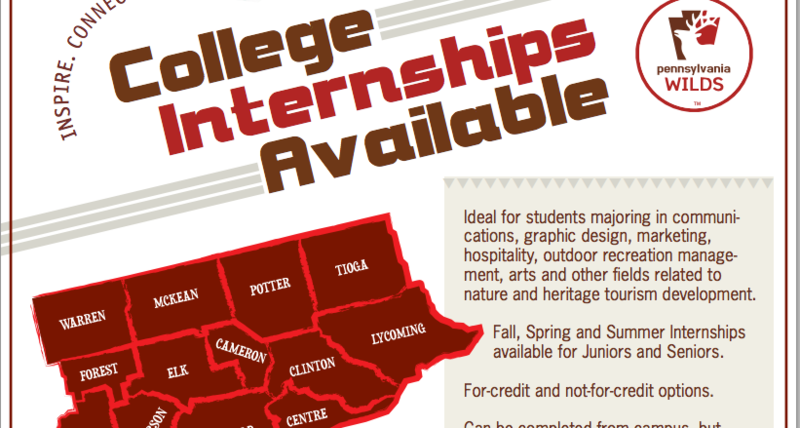 Ideal for students majoring in communications, graphic design, marketing, hospitality, outdoor recreation management, arts and other fields related to nature and heritage tourism development.